Some other possible cause and effect? First we could say God controls everything and causes all people to be sick sometimes and then God heals people sometimes and that would be what many ignorant sovereign God theologians would want you to believe. This interpretation conflicts with several scriptures like “God does not change” (Mal 3:6), with God there is no variableness nor shadow of turning (Jas 1:17) and when Jesus said “When you have seen me you have seen the Father” (John 14:9). Since Jesus never made anyone sick while he was here physically on the earth we can clearly understand Jesus was the revealed will of God in full manifestation. We must therefore conclude that God while in heaven never made anyone sick either. You of course can disagree if you would like to. However, when you read the gospels closely you will never see Jesus doing anything, but healing the people. Jesus would heal every type of sickness and every type of disease this verse says. You can clearly see that this was the will of God being revealed to men first hand. Here is God in the flesh walking among us and doing what He could only do in person. If God wanted to teach men that sickness came from Him, He missed a golden opportunity to teach us this in person to dismiss the controversy. When you see God healing people and never making them sick you finally begin to understand the character of God, the goodness of God, the love of God, the mercy of God and the compassion of God. You finally begin to understand how much God wants you to be well and whole. You can find that when Jesus walked among us, He exhibited divine compassion. He demonstrated Godly mercy and He did not come to judge anyone. Were people in those days just better sinners then they are now? Too many Christians in the world think that people have gotten to be worse sinners today so they accuse God of sending judgment upon the earth in the form of earthquakes and plagues of sicknesses and diseases. Some have accused God of killing sinners and Christians in massive Tsunamis and natural disasters. One group of highly confused Christians held up signs at a recent funeral of a woman who died with cancer thanking God for her cancer. I do not understand how you can follow a God who would do such a thing. I guess it is purely out of fear and self-righteousness that these people do such things. Because they feel like they are not sinners they accuse God of killing people who they claim are sinners. How ignorant is that? In my opinion if you are afraid of God, it is only because you do not know God and if you are not afraid of God it is only because you do not know Him either. It is a paradox of a spiritual nature that is supremely complex. The Bible says “The fear of the Lord is beginning of wisdom” (Prov 9:10). However, this is the respect of God’s power and not the terror that God is going to hurt you. I am not afraid of God, because I have the love of God shed abroad in my heart and I know Him (Rom 5:5). You see my Bible says “Where sin abounds, grace does much more abound” (Rom 5:20). That verse does not say anything about the judgment of God, it says God’s grace is what dominates Him to do good to sinners and the Bible says it is “The goodness of God that leads men to repentance” (Rom 2:4). Don’t get me wrong, there is a coming judgment of God and it is coming soon. But, this is not what is happening right now in the world. When you finally see the judgment of God you will know the difference between what is happening now and it will be nothing compared to the real judgments of God. People today, who have accused God of making people sick, have done so out of ignorance. They clearly do not know the love of God and they ignore Bible verses about God’s love. A loving God does not make His children sick because they made a mistake. Therefore, I have ruled out God as both causing sickness and healing people in order to harmonize scriptures of God’s love, mercy, compassion and grace. You could also theorize that Satan causes people to be sick and Satan heals people and again this is a very wrong teaching based upon scriptures taught directly by Jesus. When Jesus would heal people, many times Jesus would cast out the evil spirits that were causing the sickness (Mark 1:23-26, Mark 5:2-8, Mark 7:25, Luke 9:42). Jesus was even accused of casting devils out by the power of Satan (Mat 9:34). But, Jesus said in Matthew 12:26 “How can Satan cast out Satan, his house would be divided and his kingdom would not stand”? This is actually a very important verse to understand and it contains a lot of spiritual information that you better know. Jesus was clearly saying no kingdom working against itself will prevail. Therefore, God will never make people sick and then change to make them well again or His kingdom would be divided. Jesus tells you very clearly that Satan also has a kingdom. This is not the kingdom of God and this is not the kingdom of Heaven. So this is a separate spiritual kingdom that Christians must come to understand that it exists. This spiritual kingdom is called the kingdom of darkness. In Colossians 1:13 it says “Christ has delivered us from the power of darkness…”. To be delivered is a salvation from a place we did not even realize that we were in. If you are not a Christian today, you are in this kingdom of darkness. If you are a Christian then you have been set free from the kingdom of darkness by the power found in Jesus. These are all Bible truths that are essential to understand. If you do not understand this then you can easily stray into false teachings that claims God is in control of everything. Jesus clearly taught us that there is an opposing spiritual kingdom in existence and it is not the Kingdom of God. Based upon this information and the words of Jesus it is impossible for Satan to make people sick and to heal them simultaneously. This information also transfers to God’s kingdom and it says that it is impossible for God to make people sick and then to heal them, or His kingdom would be divided. God is saying you cannot have it both ways. Jesus is teaching you that one kingdom makes you sick and one kingdom heals exclusively and that is the only definition of an undivided Kingdom that fits. Next we could say God makes people sick and Satan heals them, but this is clearly shot down by many of the scriptures that I have given you already. Acts 10:38 said Jesus healed those that were oppressed by the devil. So sickness can never be attributed to God and healing can never be attributed to Satan. This is just basic Bible interpretations of the Gospels and the New Testament that makes it very clear. I have by direct scripture references ruled this possibility out completely. There are just no supporting scriptures for this possibility that exists. I mean you can find scriptures in the Old Testament that imply that God causes sickness, but I have never seen a scripture that implies Satan heals people. Next, you could say that Satan causes people to be sick and God heals them and this theory is more scripturally accurate based upon the verses that I have shown you today already, but, it cannot be the complete and total truth since there is not any mention of the involvement or the contribution of the human factor. If you believe that man has no choices to make or no ability to exercise their freewill, then you believe in a theory based upon God’s sovereignty and a false teaching called “Predestination”. This teaching claims God has caused everything in the world to happen with a preset outcome. This teaching claims that some people were created to go to hell and some people were created to go to heaven. You could further claim that some people were designed to be sick and some people were designed to be well. There are many problems with this erroneous teaching and you have to ignore vast numbers of scriptures that teach against it in order to believe in it. If you have read my series of lessons on Understanding Bible Faith you should understand that Jesus always claimed it was the person’s faith that caused them to receive healing. Jesus would never point us to any other factor as being the cause for their healing. This did not mean that this person healed themself; it only means that it was their faith that allowed the power of God to flow into them to resolve their situation. In the Gospels, there was always a direct partnership between a man’s faith and God’s divine power and grace that resulted in any person receiving their healing, salvation or deliverance. Therefore, we can very easily conclude that if human faith was a necessary determining factor for a person’s healing to be made manifest, we must also conclude by reverse applied logic or implied antithesis truth that it must have been another human factor like something that the person believed, said or did to allow sickness to come into their bodies in the first place. Think with me again about the factor of faith allowing God’s power to heal them in the Gospels. Then take this knowledge and look back into time to see how a sickness might be allowed into a human condition. Take for instance the factor of fear. If fear is one opposite of faith, then it might have been possible for someone’s fear to allow Satan to put the sickness on them. In other words I believe that it is almost always the choice of the person on the earth to determine what happens to them. This belief is based upon what God said to people in Deuteronomy 30 that we read earlier. God said very clearly I set before you life and death, therefore choose life that you and your seed may live. Whose choice was it for you to live, God’s or yours? I think you can see this makes it our choice. You see God says that people will always reap what they have sown in life. So we need to figure out if sickness is a fruit of a seed that we have sown. You might recall in the last lesson I showed you in Deuteronomy 30 where God said “I have set before you a choice, life or death, blessing or cursing, therefore choose life…”. God appears to place the responsibility for sickness on man as well as for healing, so we must learn how to choose wisely. 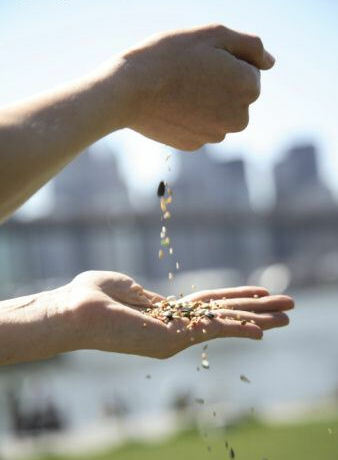 Could it be that we just need to learn to plant the right seeds for healing? This is a very tough lesson to teach, because there are so many factors and even unknowns that you can never say that everybody’s sickness was caused by only one specific thing. In fact many times sickness is caused by a combination of things and I may have time to talk about that later. Sowing and reaping is a cause and effect reality. You plant seeds and you get crops to harvest. So this truth is certainly heavily involved in the rest of this lesson. What I want to do is to explore what Jesus emphasized in the Gospels as being a potential cause or we could say the seed for the sickness of certain people. Jesus did teach us that there were some special contributing key factors to at least some sicknesses and I will attempt to talk about these today and you can make up your own mind to what the truth is. If Satan causes sickness to come on people we must determine what permitted or allowed this to occur or can Satan just make anyone sick that he wants to at any time? If you read the book of Job many have concluded that Satan must ask God for permission and then when God says OK, it is Satan’s responsibility to go and carry out the sickness. However, this is a very bad interpretation of the truth and a clearly ignorant man can easily jump to this conclusion on a surface only reading of the text, but the truth of God is almost always deeper than that found normally on the surface. You can see this is a tough subject to teach, but I believe it is one that is certainly important for you to understand, so keep reading. We know from Acts 10:38 and Luke 13:6 that Satan causes sickness, so I will not debate that fact anymore. I have accepted this as the truth of the Bible and I will move on with determining why this occurs. You can clearly read that it was the actions of one man that caused sin and death to pass to every man on the planet. If you are smart enough you understand that sickness and disease is just a form of diminished life before death occurs. Therefore, it was Adam who allowed sickness to enter into the world by his sin. So that is another interesting contributing factor. Your current sickness could have been caused by your ancestor’s sin. You see God speaks of a generational cursed upon families in scriptures found in Exodus 20:5, Exodus 34:7, Numbers 14:18, and Deuteronomy 5:9 that speaks of the sins of the fathers being passed down three or four generations. I will not teach on this directly today, but I do want you to be aware of it as a factor. You see it does not have to be your sin that causes you to have a sickness. In fact in John 9 the disciples asked Jesus “Who sinned, this man or his parents that he was born blind”. You can see by the question that the disciples were looking at the effect and trying to determine the cause. They also said it could have been caused by the sin of the parents and Jesus did not dispute or contradict them, he just didn’t answer their question. If you do not understand this story of the blind man in John 9, please take the time and read my lesson on this healing called “Who Sinned”. Here is another major story of healing that has some very profound spiritual truths associated with it. Jesus has just healed another paralyzed cripple man and He tells him something that is very important to note. Jesus basically says “Stop sinning or something else worse could come on you”. Do you understand the connection being tied in here between sickness and sin? Jesus is teaching the direct cause and effect of a spiritual reality. 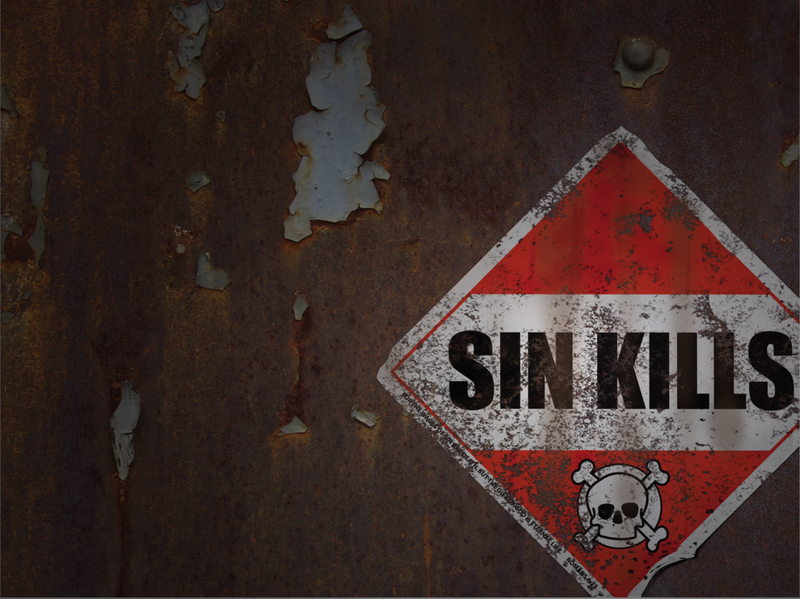 It would appear that sin is an opening of the door for sickness to come in. This of course is very tricky since the Bible says that we are all sinners (Rom 3:23) and we can see that not everyone is sick in the world. Nevertheless we can still learn a potential cause and effect law being demonstrated to us. Do you understand the laws of Physics? An object in motion tends to remain in motion and an object at rest tends to stay at rest. Then there is the law that states for every action there is an equal and opposite reaction. There are just too many natural laws that demonstrate to us the cause and the resulting effect of a natural force, for me to talk about them all. 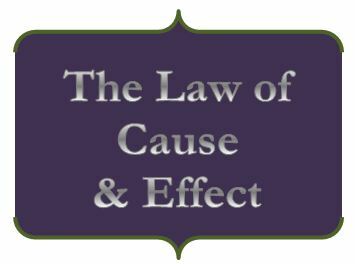 According to laws never is there an effect without a cause. Never is there a cause without a resulting effect. Never is the resulting effect greater than the cause. It would be like getting a crop without planting the seeds, it just doesn’t happen that way. These are just a few of the basics surrounding physical laws. Jesus is saying there are two different states of the human condition; this is either wholeness or incompleteness. Jesus is calling the state of not being whole a sickness. This Greek word translated as whole has a meaning to be healthy, well, sound, and even true. I can clearly understand based upon this definition that there are direct opposite truths to each of these statements. Sick, infirmed, weak, and even false are all words that demonstrate the state of sickness. The Bible calls sickness the opposite of good which is healing and health. I have given you around three examples in the Bible of people that Jesus encountered and Jesus attributed a sin cause to the effect of their sickness. I also showed you that it does not necessarily have to be your sin that is the cause, but it could have been one of your ancestors. However, there are more complex factors than that found in the Bible, but I have gone long enough in this lesson for today. I will wrap this up by reemphasizing that Jesus basically taught that if you are forgiven you ought to be healed. If you need forgiveness, then repent and ask for it and do it fast to begin to receive healing. Do not over simplify anything that I have taught today and say I said it is only sin that causes sickness because that is NOT what I said. In fact I gave you several other potential reasons for the existence of sickness, one was ignorance, another was the presence of evil, another is sowing wrong seeds, then I could go on and on with other factors that I have not mentioned. In order for us not to be destroyed by Satan in the world we need to achieve to a higher level of knowledge of the truth. So we still have a lot to learn, including me! I hope you come back and read the next lesson about Where Sickness Comes From. God Bless! If you would like to continue reading in this series of lessons you can go to “Part 3“. Posted on March 22, 2011, in Bible Study, Healing, Understanding and tagged Bible, Christianity, Church, Faith, God, Healing, Holy Spirit, Interpretation, Jesus, Knowledge, Prophecy, Religion, Revelation, Satan, sin, Truth, understanding. Bookmark the permalink. 1 Comment. what about David’s child ? God caused sickness and even death because of the father’s sin.